Once students have an understanding of Newton’s laws and understand tension and using pulley’s to change direction of force this module is the next level of merging engineering and inquiry together. It is often difficult for students to conceptualize exactly how pulleys work. One common misconception which causes problems when students try to construct free body diagram and solve problems using pulleys is the idea of tension in a string. In this modules students will work though activities to solve this misconception, such as placing a spring between 2 pulleys. Also comes with a 10+page instruction booklet covering approximately 2 to 3 hr of class/lab time material. Instructions are written to explicitly cover Next Generation Science Standards Concepts, and Common Core Standards. Every module includes comprehensive instructions to assist with lesson planning, student activities, and experimental procedures. All labs and extensions feature recommended video analysis setups and guides. Included items are Atwood machine, right angle clamp, string, spring, support post. 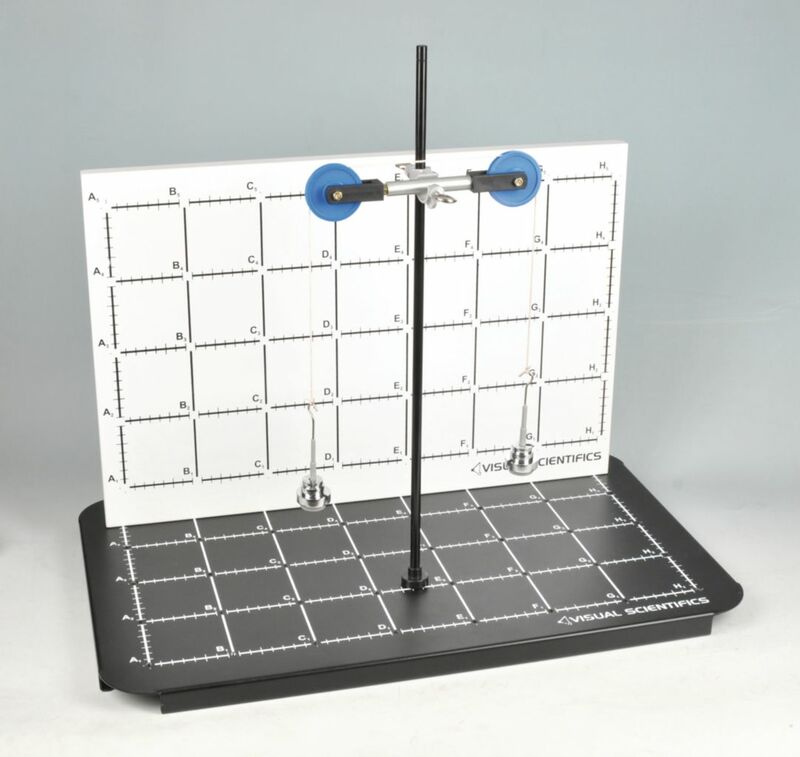 Required but not included 2.5 N spring scale or force probe, Hooked mass set (100 g) (9-10 gram weights and 1-10 gram hook), Video recording device, Visual Scientifics base and Visual Scientifics backboard.